The bar for Transformers films has fallen so low anything which isn’t actively insulting and filled with enough testosterone to give a rhinoceros a heart attack could easily be billed as the best of the series. 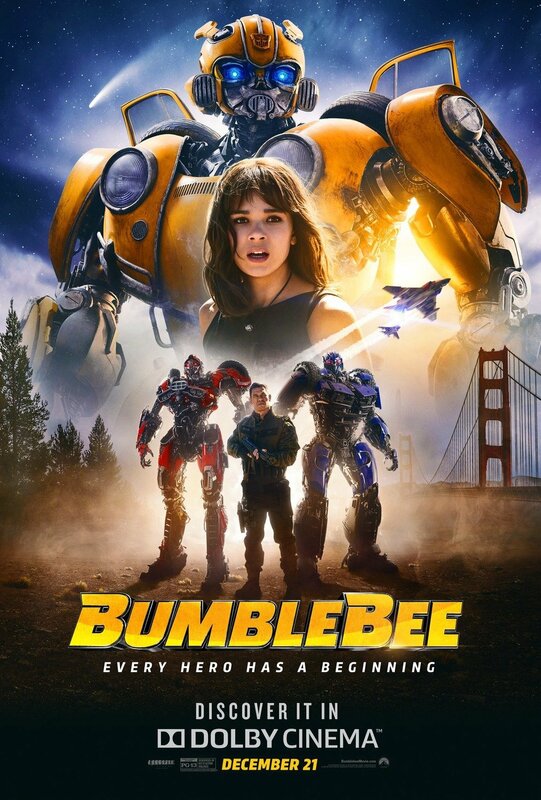 Bumblebee, the sixth film in the franchise and the first to focus on just one character – in this case the other breakout Transformer character – is not actively insulting or filled with enough testosterone to give a rhinoceros a heart attack; so job done, right? Almost. New franchise director Travis Knight (Kubo and the Two Strings) has a great eye for gags and tone but most of his effort is spent threading the needle between what the series has done and what it could be. That’s a heavy and necessary course correction but it requires Knight and his crew to spend so much time focused on what the series is not, it never comes up with a good case of what it is. Or perhaps I should say, a single case. Because Bumblebee is a lot of different things. It’s a prologue to the Transformers series proper, detailing the exodus of the heroic Autobots from their home planet of Cybertron and the arrival of Bumblebee himself on Earth to lead the others there. It’s a story of reconciliation of grief for young Charlie (Steinfeld) who struggles under the pall of her father’s recent death, unable to move on with her life. And it’s the story of Bumblebee himself, trying to remember who he was and connect with the strange life on the strange planet he finds himself. And it’s the story of a rightfully paranoid soldier (Cena) trying to stop a war between giant robots from spilling over to his backyard. And it’s a story … well, you get the idea. Bumblebee is a lot of things including, occasionally, the series signature thrill of giant robots smacking each other about. Some of that is unavoidable. At $137 million Bumblebee is the least expensive episode of the series to date, and when a film features giant robots that’s going to affect the text. Most of what is there has gone to a nostalgia filled prologue on Cybertron lined with classic iterations of the series’ most popular characters. It’s the kind of thing which long-time fans have wanted out of the series for a while and certainly sets Bumblebee off on the right foot, but it’s also the kind of ambition Bumblebee cannot cope with leaving an audience hankering for more and rarely getting it. What’s left is enough for a well-staged face off with the two generically unimaginative, undifferentiable villains which we’ve seen various versions of in the previous films. That accounts for maybe 20-minutes out of 114, which is a lot of time to fill without resorting to what is arguably the series defining attraction. To that end Knight, who has spent most of his career in animation, is just the man for the job. He not only imbues his central robot with the kind of humanity Michael Bay never bothered with, but he does the same for his humans. And he has deft touch at physical comedy and pure cinema as well. Bumblebee’s exploration, and accidental destruction, of Charlie’s home is more fun than just about any moment in all of the previous Transformer films combined. But Knight is fighting with one hand behind his back much of the time, tied down by a script which is not up to its characters or opportunities. In big budget studio land there’s no telling why that is. Screenwriter Christina Hodson is by all measures a talented writer who has managed to get three spec scripts onto the Black List (an annual list of the best unproduced scripts in Hollywood). But the two produced films she’s written so far have been terrible, and Bumblebee’s script is by far its weakest attribute. Character motivations and backstory are expounded artlessly and arbitrarily only to be uselessly kluged onto the climax. All of Charlie’s grief about her father is distilled down to her former pastime as a competitive diver. Want to bet what particular skill she has to make use of to save her friend? Want to bet how silly it comes across? Worse than that is just how badly it’s put together. When plot points are needed they just happen, whether that requires characters behaving incredibly illogically – the way the US Army just gives access of entire computer system to alien robots the first time they meet – and quickly, with just enough lampshade hanging to pass it off. (One character finally wonders how anyone could trust a group which calls itself Decepticons). That’s partly so we don’t have enough time to question what we’ve seen and partly so that they can move on to the important stuff like explaining how exactly it was that Bumblebee lost his voice and came to talk through clips from songs and television. Bumblebee spends a good 30 minutes walking us through the mechanics of that. When it’s not it’s diving into where Bumblebee’s actual name came from. It’s a lot of prequel exposition 101 to pad out running in between sparse moments of the villains looking for the lost Autobot. It doesn’t add much to the character, it’s not particularly fun or funny and it’s hard to justify keeping in a film whose extended middle third is very laggy. 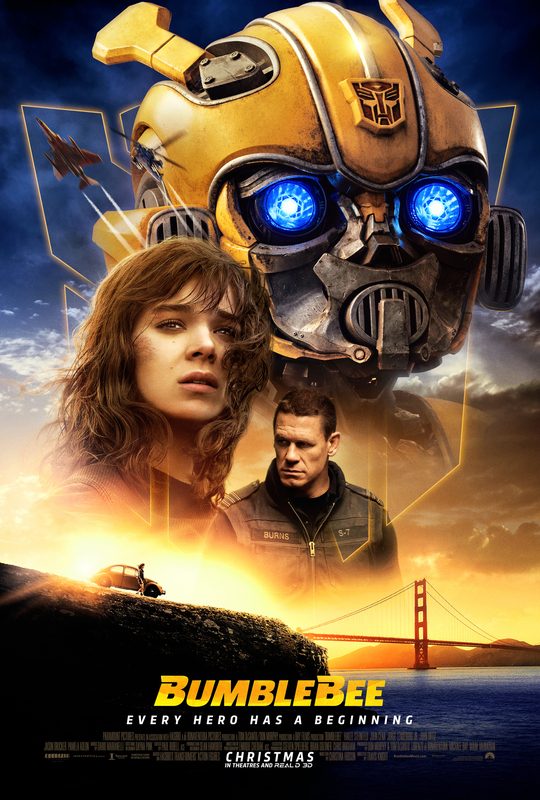 That seems like a lot of bad, but what it really is are things keeping Bumblebee trapped at merely ‘ok.’ Steinfeld is perfectly suited to the role and Cena’s comedy chops keep getting better and better with each film. Most of Bumblebee’s best moments are his. Knight has a firm view on the character and the world and could probably make a great Transformers movie if he could shake off the silly Save the Cat nonsense weighing Bumblebee down. Still the best Transformers film by a mile, Knight shows what a good director can do even with a weak script. Now if only the producers would take the shackles off, maybe we could see what a real Transformers film could be.